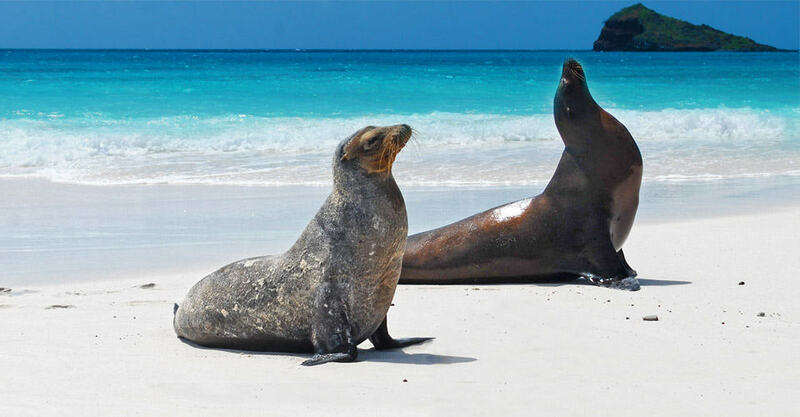 The Galapagos Islands are an archipelago of volcanic islands located 563 miles (906 km) directly west of Ecuador. The group of islands consists of 18 main islands, 3 small islands, and 107 rocks and islets. 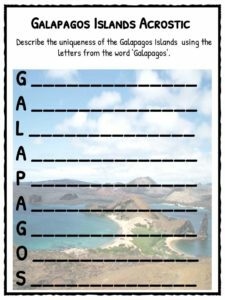 The Galapagos Islands had no original inhabitants when they were accidentally discovered in 1535 by Tomas de Berlanga. De Berlanga was the Spanish Bishop of Panama. His ship drifted by the Islands on his way to Peru to settle a dispute between Francisco Pizarro and his lieutenants. De Berlanga’s crew reached the Islands on March 10, 1535. Bishop de Berlanga immediately reported back to the Spanish monarchs about the Islands, together with information on its rich flora and fauna. By 1570, the Islands first appeared on the Abraham Ortelius’s atlas and were named “Insulae de los Galopegos” or Islands of the Tortoises, due to the enormous number of giant tortoises found there. Buccaneer Ambrose Cowley created the first navigational chart of the Galapagos Islands in 1684. Cowley named the individual islands after some of his fellow pirates, as well as other British royalty and noblemen. The islands were used as hideout by pirates, who pilfered gold and silver from Spanish galleons traveling from South America back to Spain, until the early 19th century. It was a strategic hideout due to its location. In 1793, officer James Colnett of the British Royal Navy proposed the Islands as a base for the whalers operating in the Pacific Ocean. The Islands offered fresh water and a supply of meat which was conducive for the whalers. 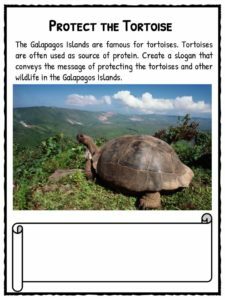 One downside of using the Islands as a base was the capture of Galapagos tortoises. These were kept on board whale ships and used as a source of fresh protein. This event almost brought the tortoises close to extinction. 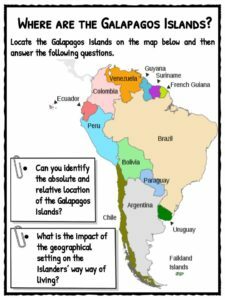 In 1831, Ecuador annexed the Galapagos Islands and named them the Archipelago of Ecuador. In 1832, a group of convicts were shipped in to populate the island of Floreana (Isla Santa Maria). On September 15 1835, the survey ship, HMS Beagle, arrived on the Islands. On board was young Charles Darwin, a notable naturalist. Charles Darwin studied the local flora and fauna. He noted that almost all of the animals and plants there were endemic to the islands. These discoveries contributed to his famous theory of natural selection. 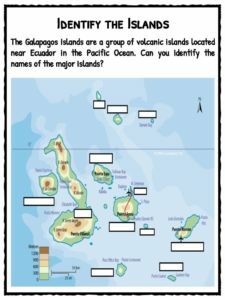 Darwin also included the Islands on a map for people to discover and visit the Islands. Between 1920 and 1930, a group of Norwegian settlers arrived on the Islands. The government of Ecuador allowed them to inhabit the land and there would be no taxation for the first ten years. Consequently, additional settlers arrived from Europe and America. 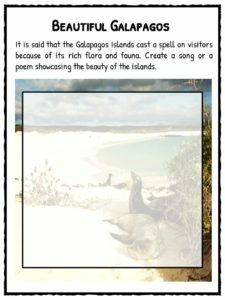 UNESCO included the Galápagos Islands on their list of World Heritage in Danger in 2007 due to the threats posed by hostile species, unrestrained tourism and overfishing. 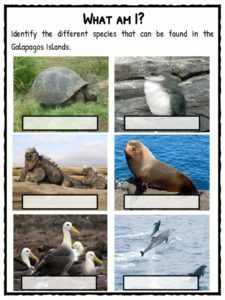 The World Heritage Committee decided to remove the Galápagos Islands from the list on 29 July 2010 because they found progress was being made by the government of Ecuador. The government of Ecuador strictly controls tourism in the Islands. Travelling to see the endemic species should be done with a professional tour operator through the cities of Quito and Guayaquil. 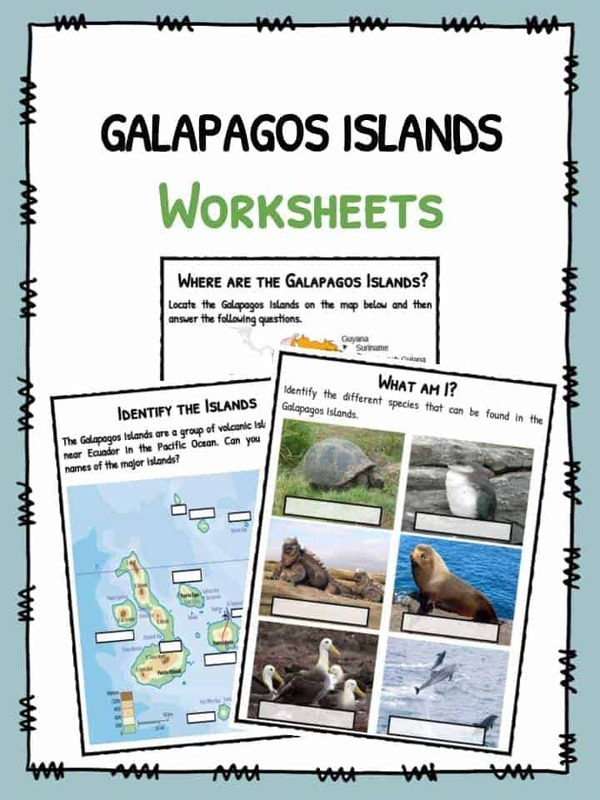 This bundle contains 11 ready-to-use Galapagos Islands Worksheets that are perfect for students who want to learn more about the Galapagos Islands which are an archipelago of volcanic islands located 563 miles (906 km) directly west of Ecuador. The group of islands consists of 18 main islands, 3 small islands, and 107 rocks and islets.